Metformin is the most commonly used diabetes drug in the world, with over 80 million prescriptions filled in 2015 in the United States alone. And in addition to controlling blood sugar levels, the medicine may also help reduce the risk of certain types of cancer and decrease the chance of dying from these cancers in older women with Type 2 diabetes, according to new research from the Roswell Park Cancer Institute and University at Buffalo. Diabetes is known to increase the risk of certain types of cancer, such as liver, pancreas, and endometrial cancer. 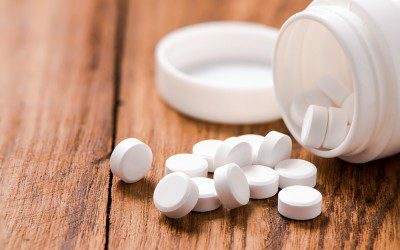 Previous studies examining metformin’s role in cancer risk have had mixed results. To further evaluate the impact of the medicine on cancer risk, including how duration of diabetes and metformin use affects outcomes, the researchers looked at data from 145,826 post-menopausal women between 50 and 79 years of age that had been collected between 1993 and 1998 in the Women’s Health Initiative Study. In an effort to focus on women with Type 2 diabetes, the researchers excluded data from anyone who had been diagnosed with diabetes before age 21. The researchers found that women with diabetes overall had a 45% increased risk of dying from invasive cancer when compared to women without diabetes, but that in women taking metformin, the risk of cancer death was about the same as that of women without diabetes, with the risk of dying from cancer decreasing with increasing length of metformin use. The medicine was also shown to be linked with better chances of survival in women with ovarian, colorectal, or breast cancer. “Our findings suggest that diabetes remains a risk factor for cancer and cancer-related death, and metformin therapy, compared to other diabetes medications, may have an important role in [managing] diabetes-associated cancer,” said study author Zhihong Gong, PhD. She added, however, that the results didn’t prove that metformin decreases the risk of cancer death, but just showed that there is an association. Additional studies are currently under way to evaluate the long-term effects of metformin on cancer risk, according to Joel Zonszein, MD, CDE, who was not involved in the study. For more information, read the article “Widely Used Type 2 Diabetes Drug May Reduce Cancer Death Risk” or see the study’s abstract in the International Journal of Cancer. And to learn more about metformin, read “Metformin: The Unauthorized Biography,” by diabetes treatment specialist Wil Dubois. In recognition of Better Hearing and Speech Month, free over-the-phone hearing tests will be available in May. Bookmark DiabetesSelfManagement.com and tune in tomorrow to learn more.